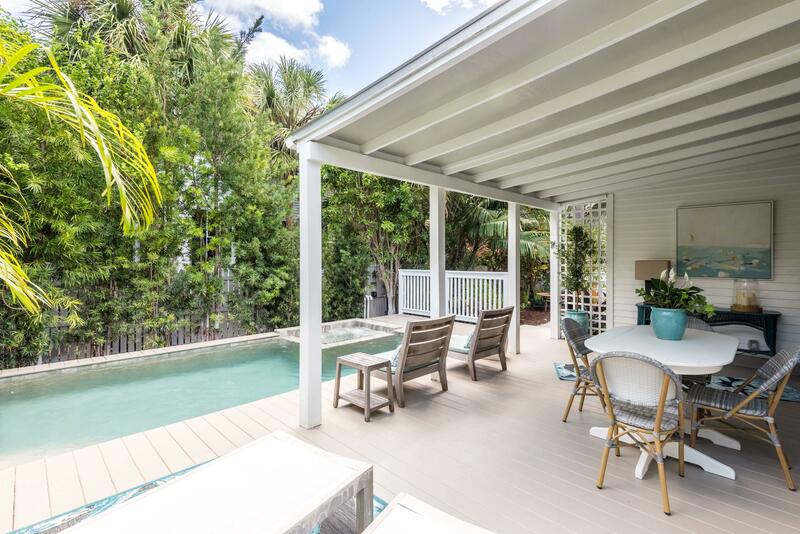 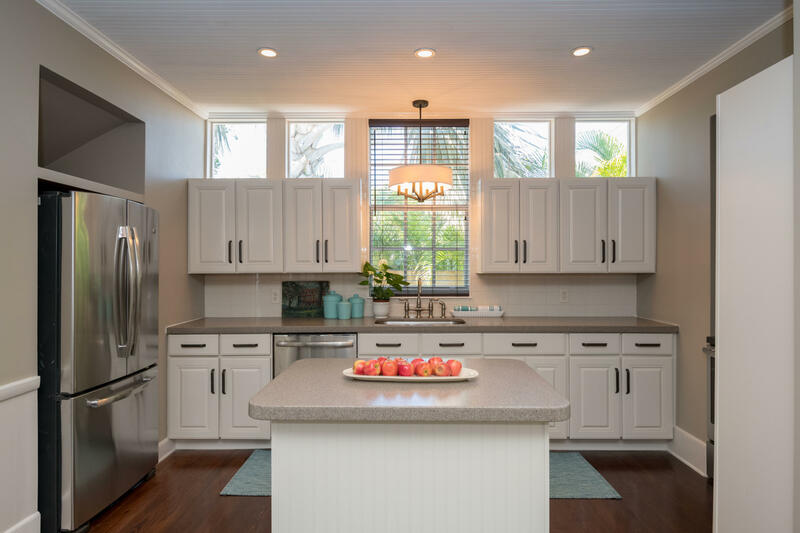 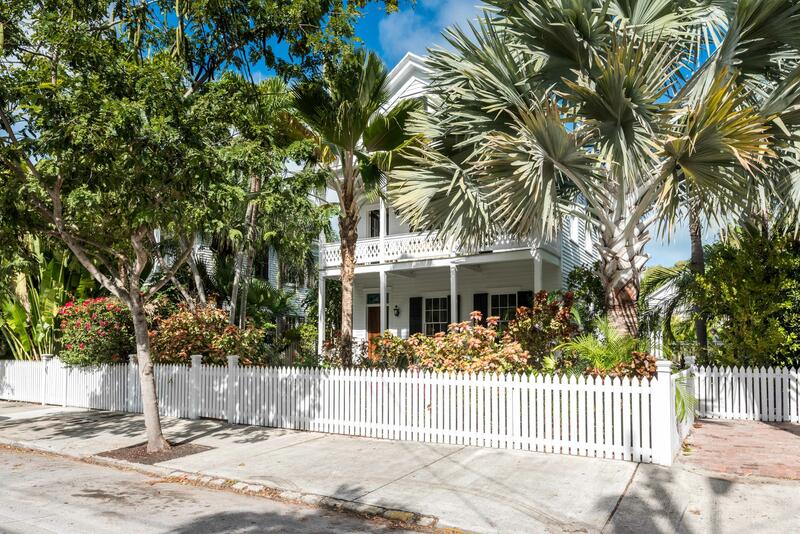 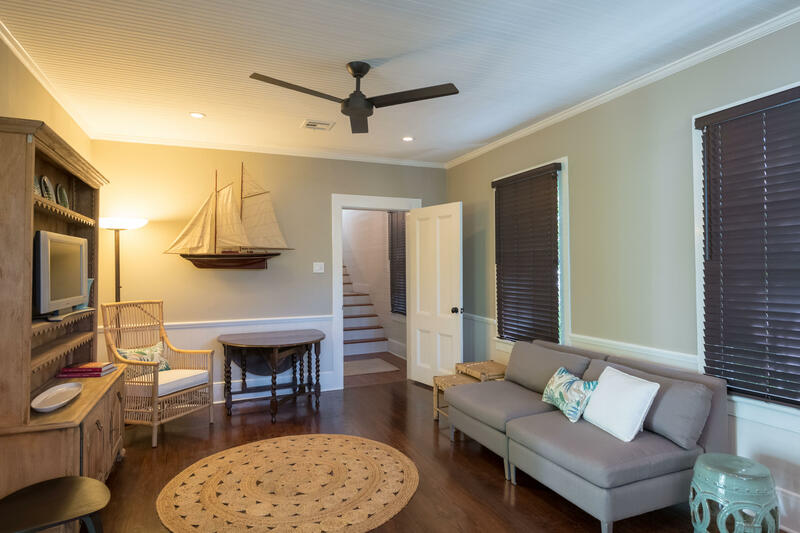 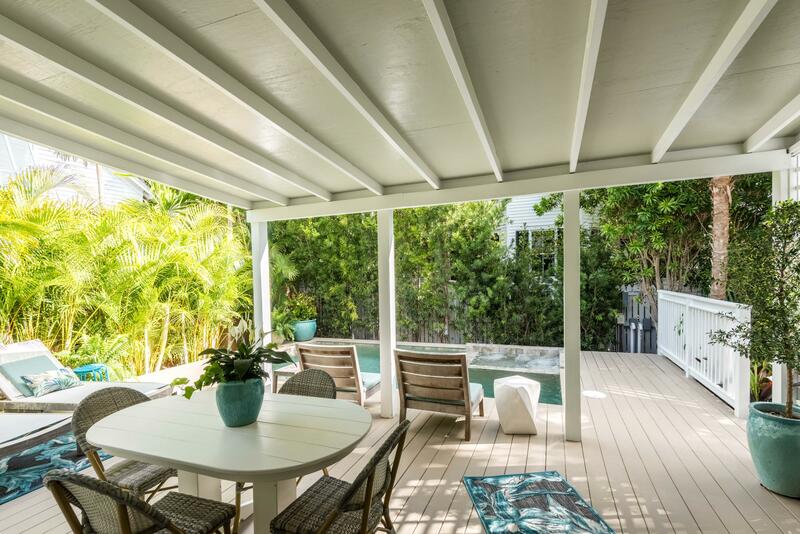 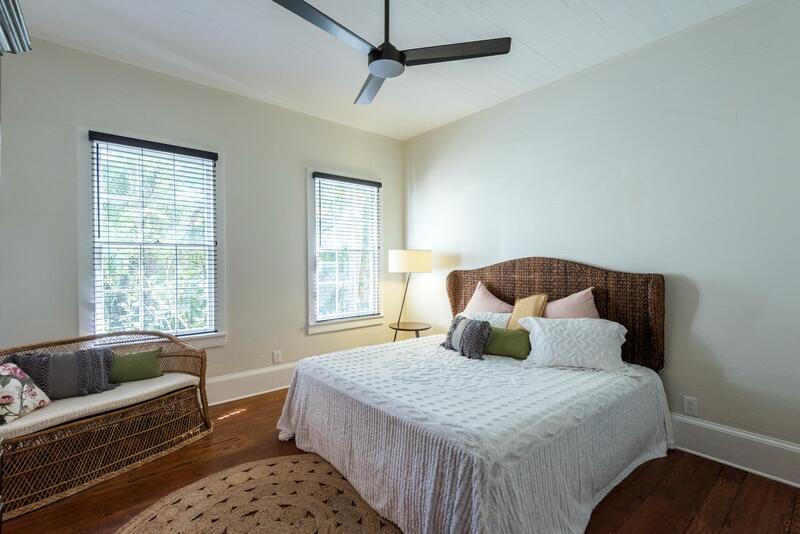 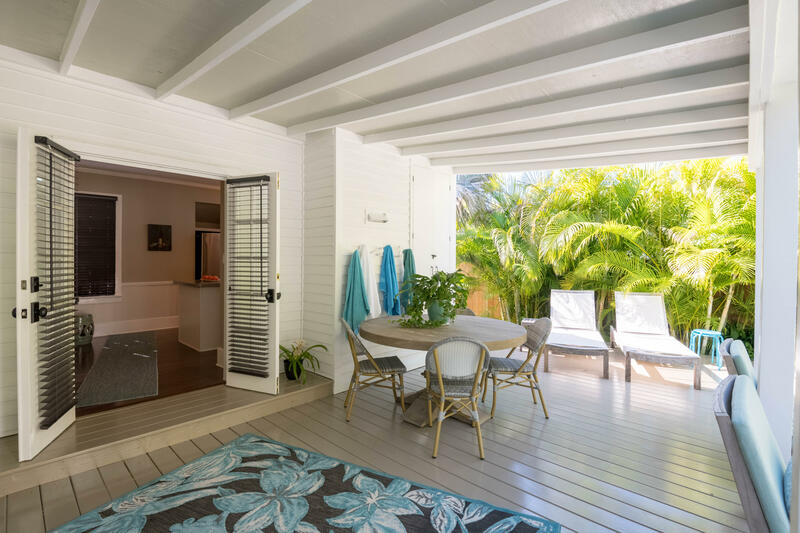 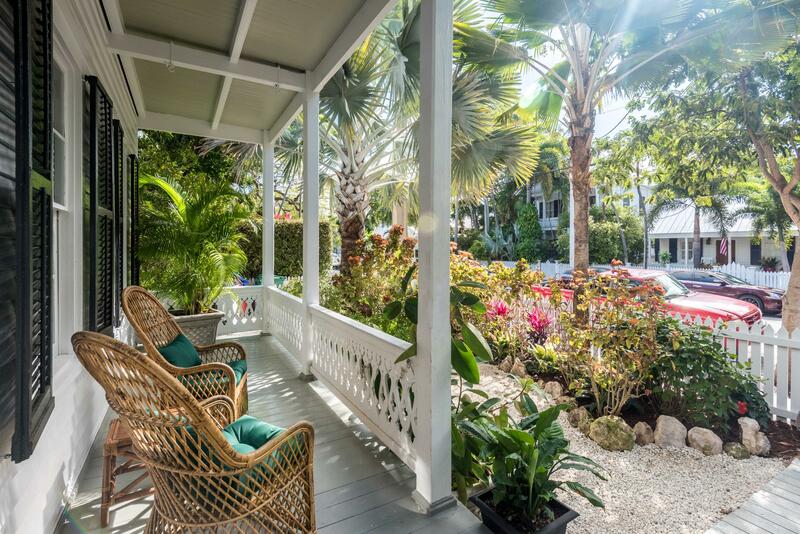 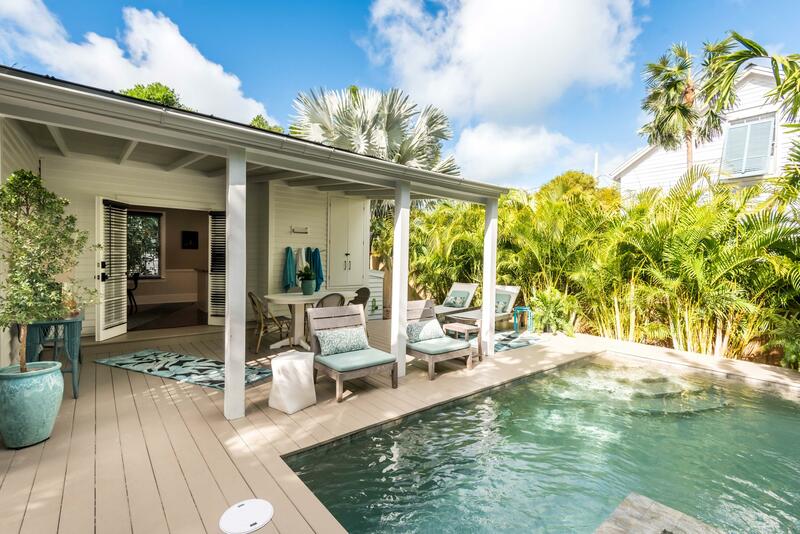 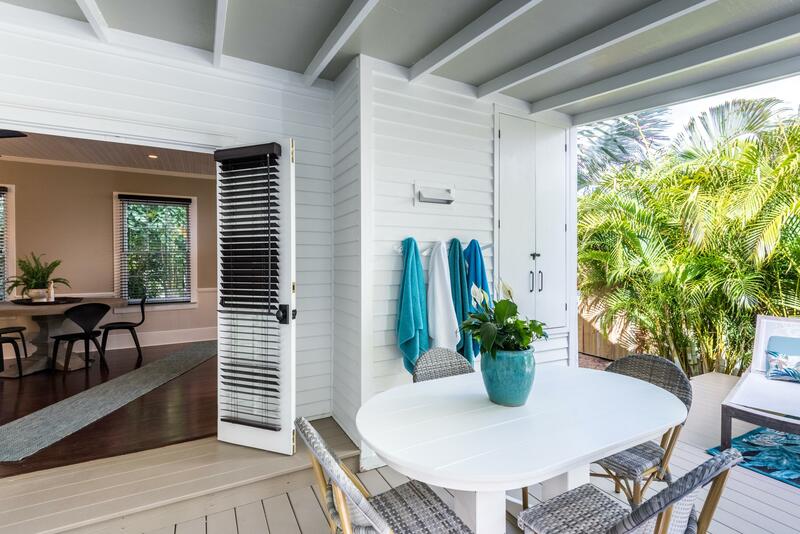 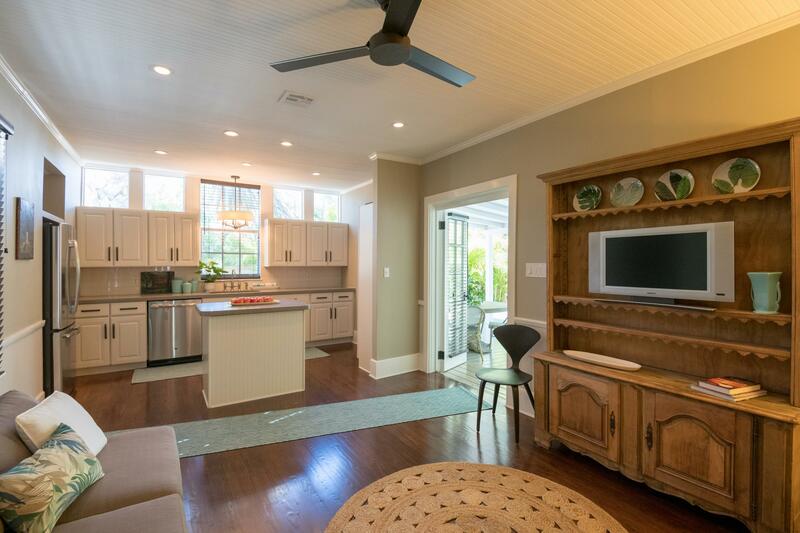 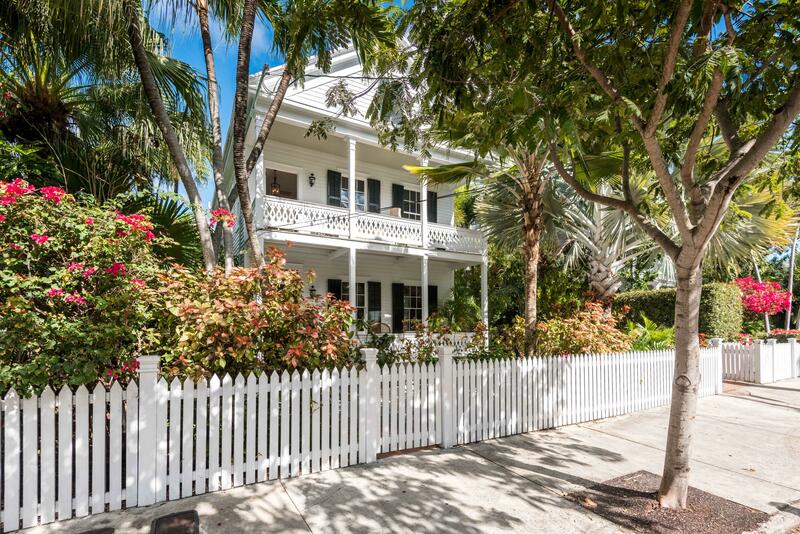 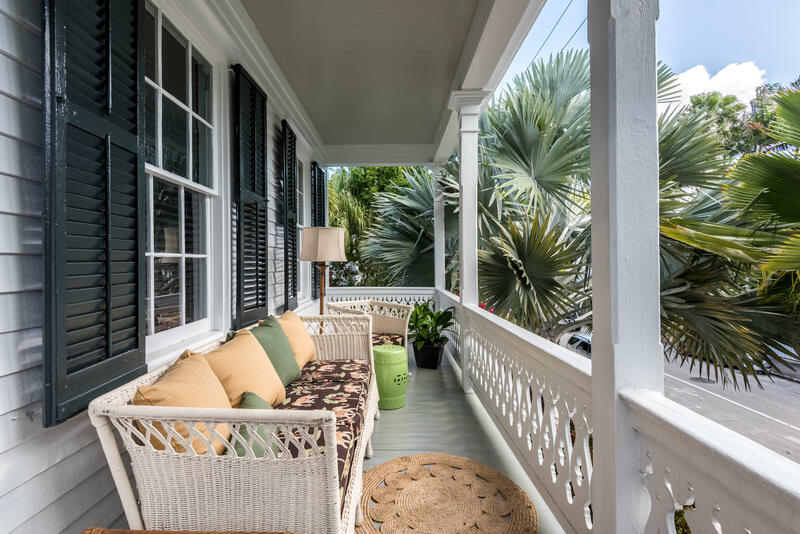 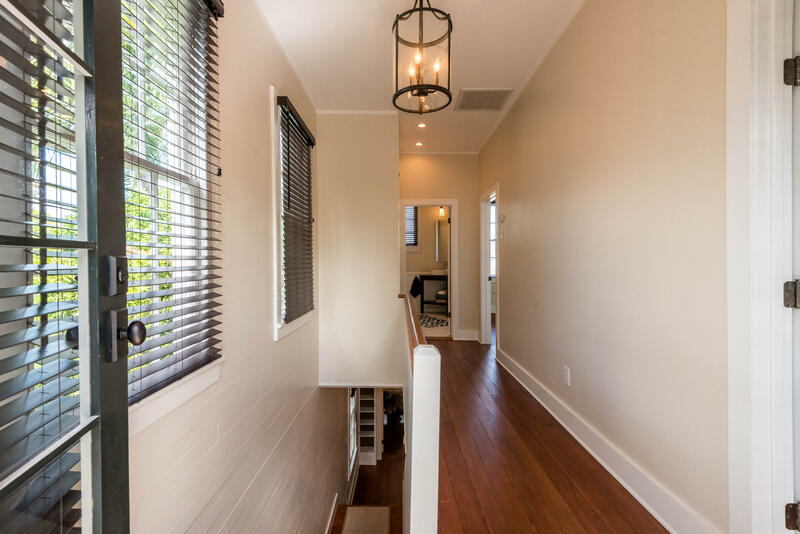 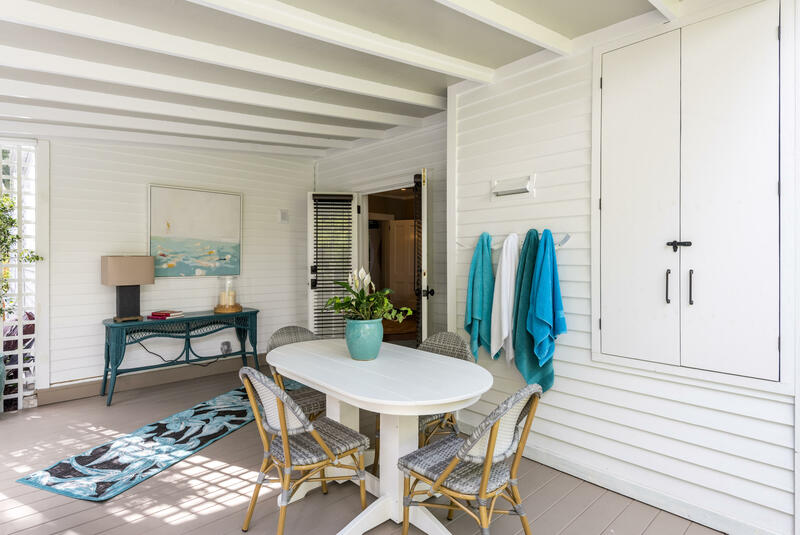 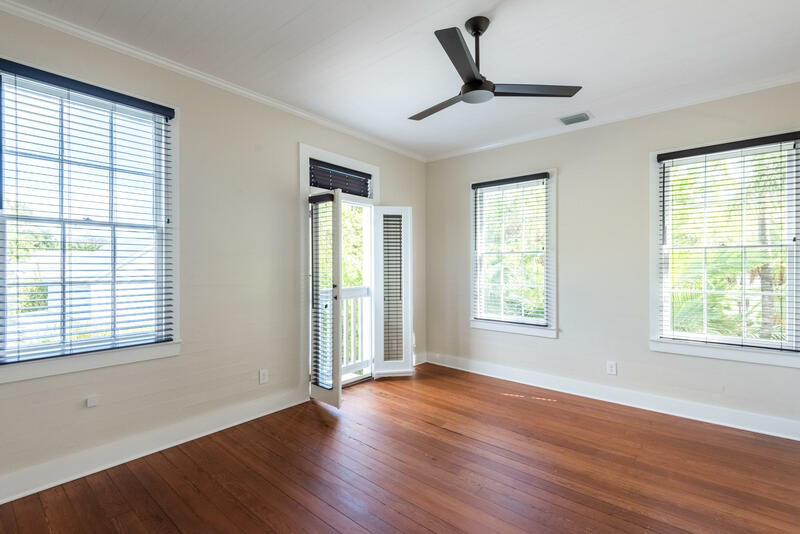 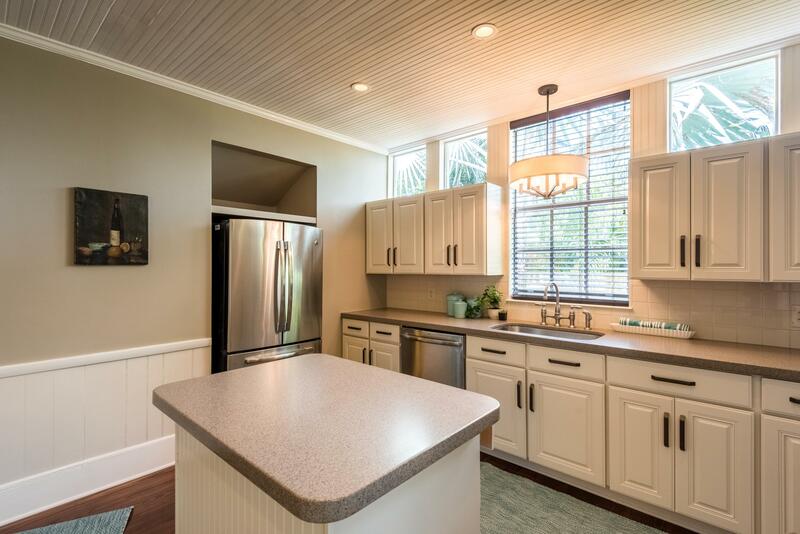 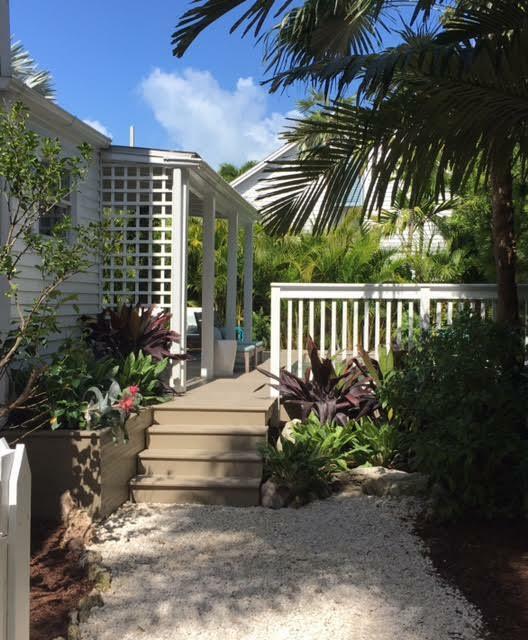 Located on a prime block in the heart of Old Town Key West, this historic double porch home is walking distance to everything. 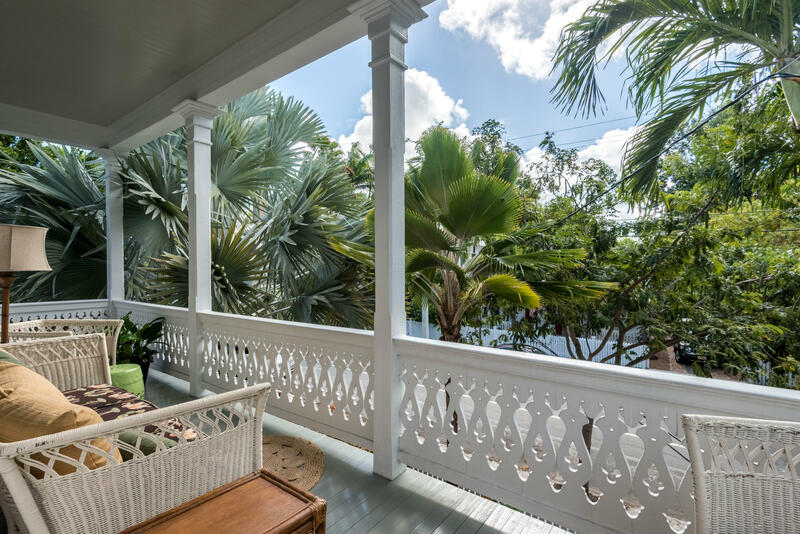 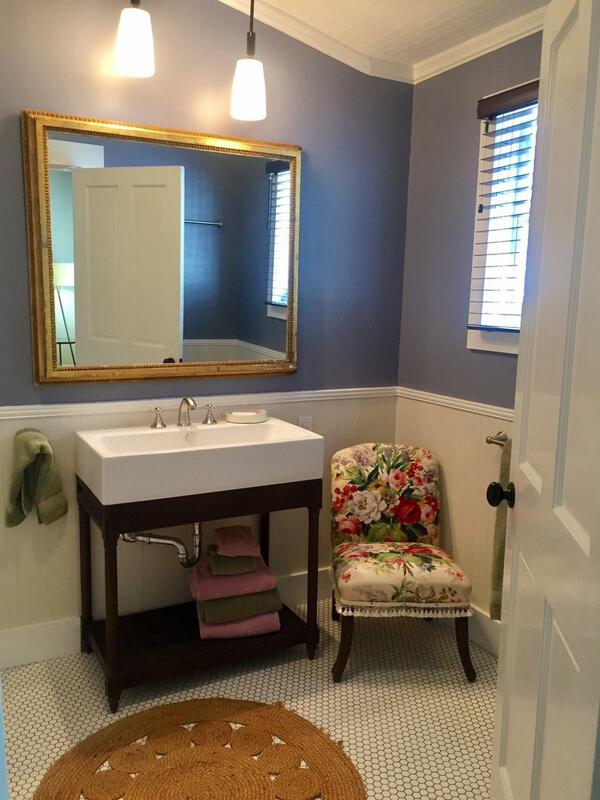 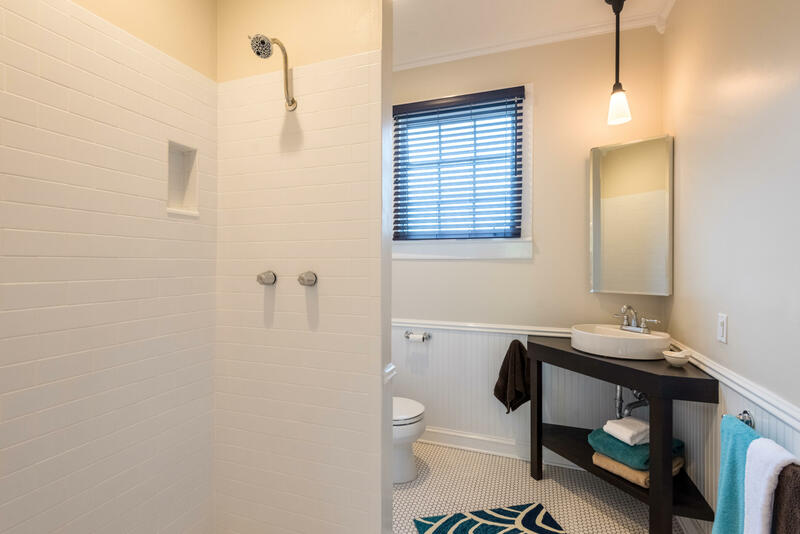 Recently restored, it offers old world charm plus modern amenities. 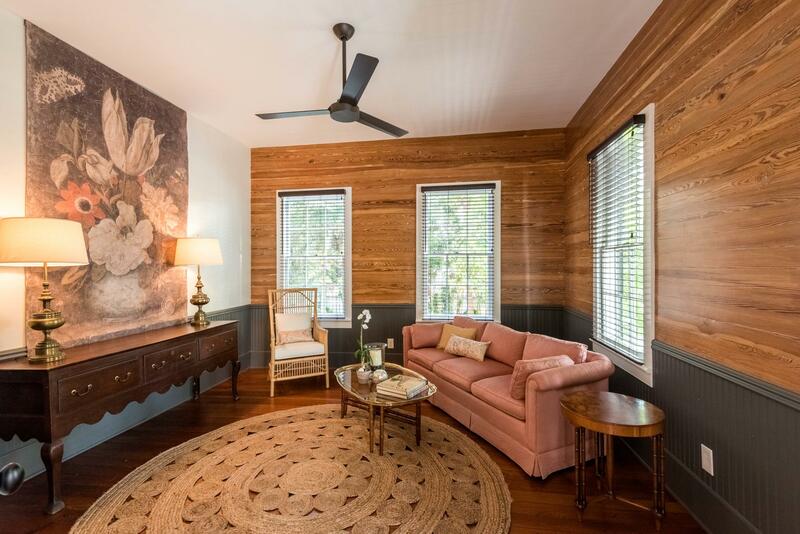 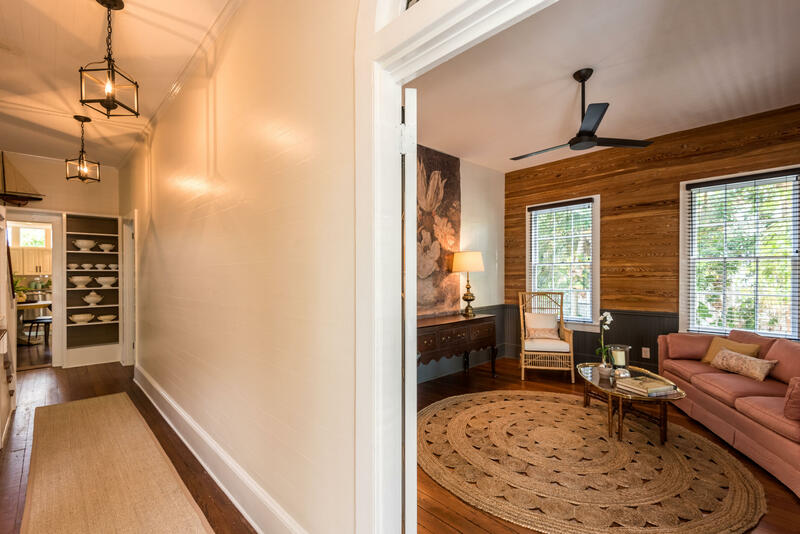 Inside there are high ceilings, polished wood floors, Dade County pine walls, beautiful moldings and spacious rooms. 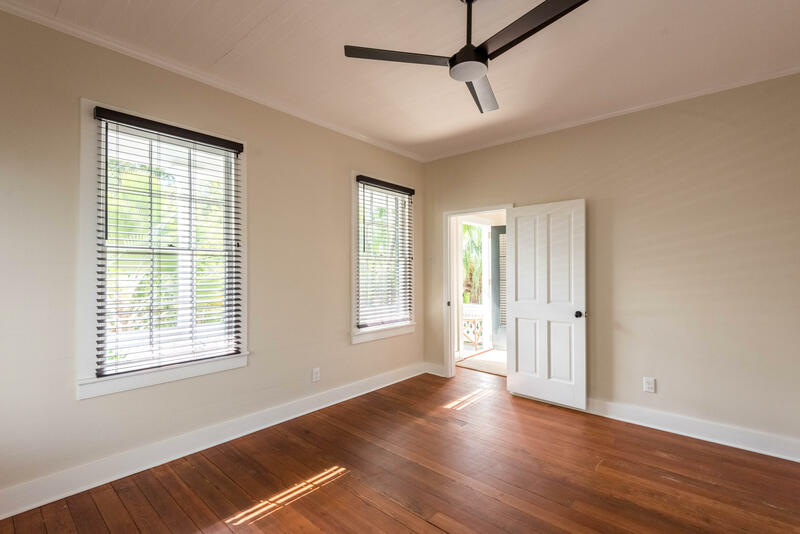 There is a first floor en suite master bedroom. 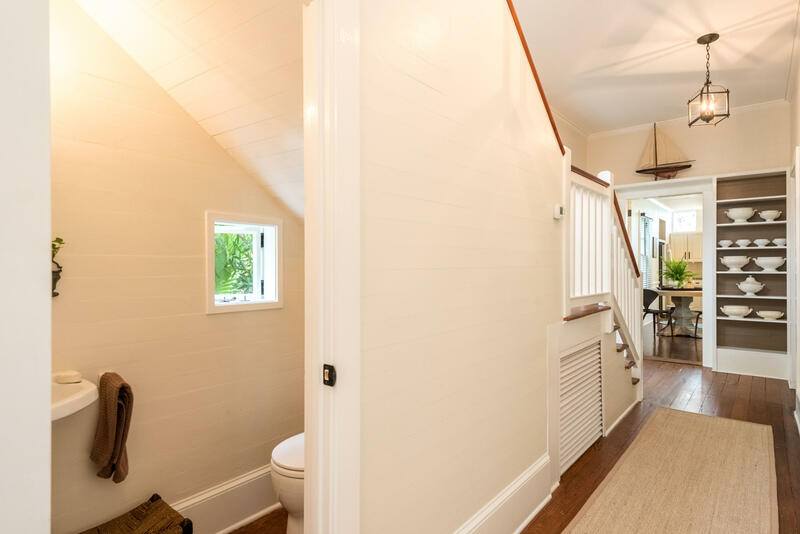 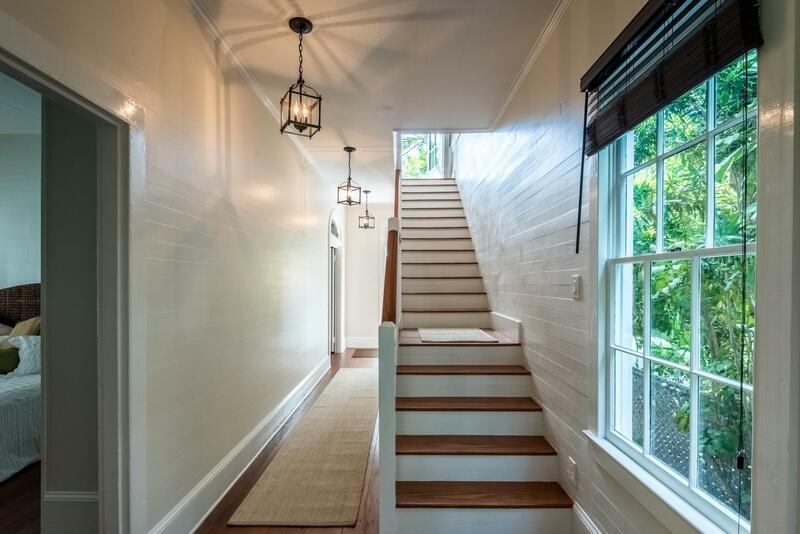 Upstairs there are two guest bedrooms, a full bath and a wonderful front porch. 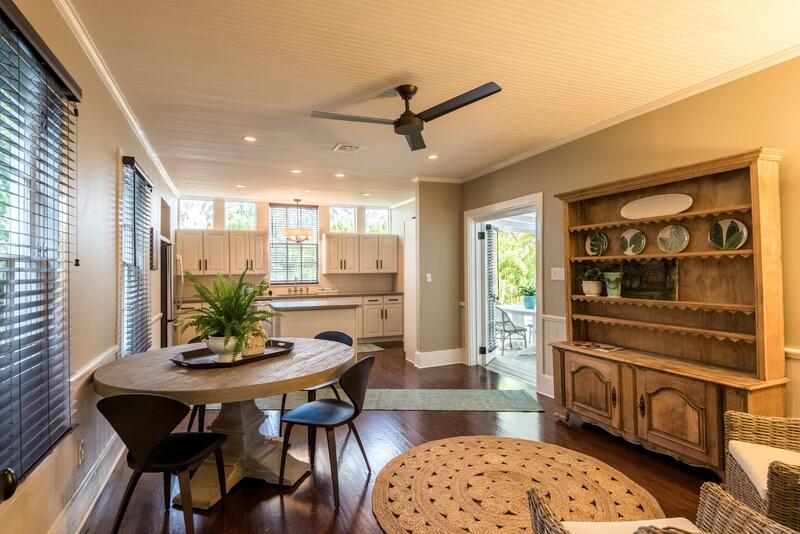 The bright kitchen/living area opens through french doors to the covered loggia and a new heated pool and spa. 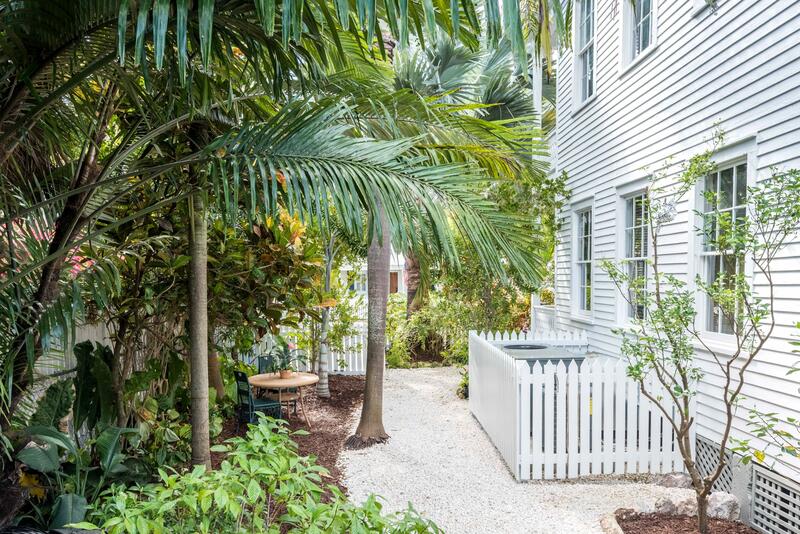 Mature tropical foliage adorns the garden and offers privacy. 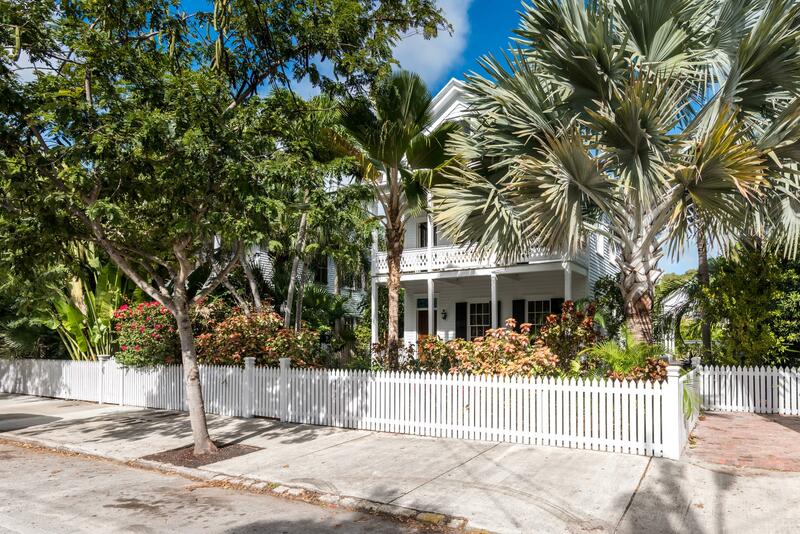 There is bricked off street parking. 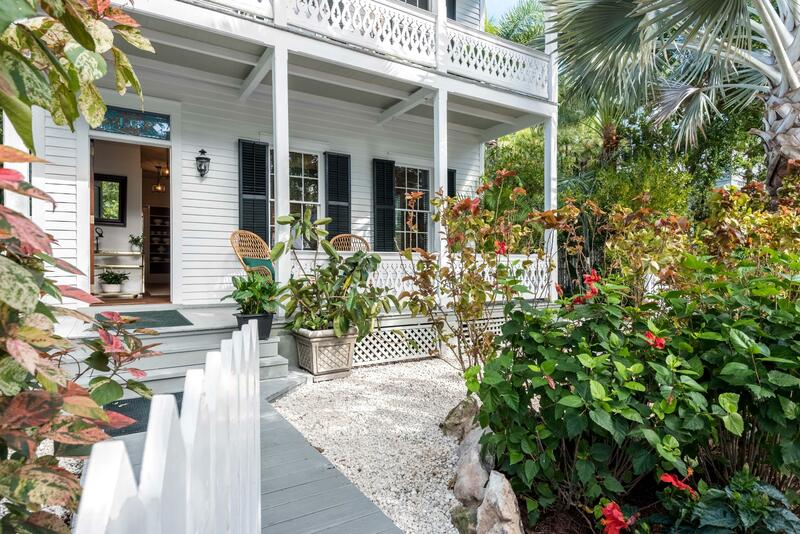 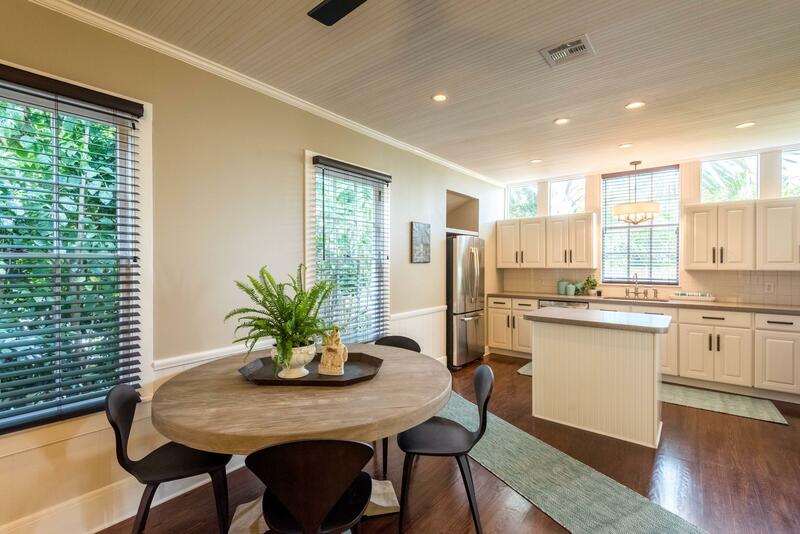 This beautiful home is being sold furnished with very few exclusions. 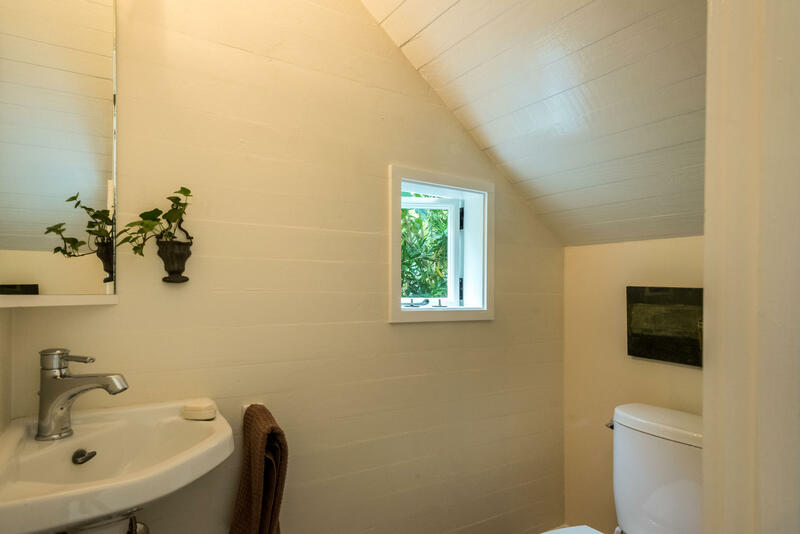 Easy to see.